For this Fellowship with KOBE, Modebelofte/New Order of Fashion selected superduo AnoukxVera. KOBE is a world wide interior textiles brand based in Valkenswaard in the Netherlands. The company’s in-house research and development and styling department with their passion for interior design and textiles, always seek for innovation and the development of outstanding, high quality products. For over 40 years the company has played a prominent role in the world of interior, design and lifestyle. KOBE’s highly valued products are being distributed world wide in more than 50 countries, and are being used by interior design professionals and consumers alike. 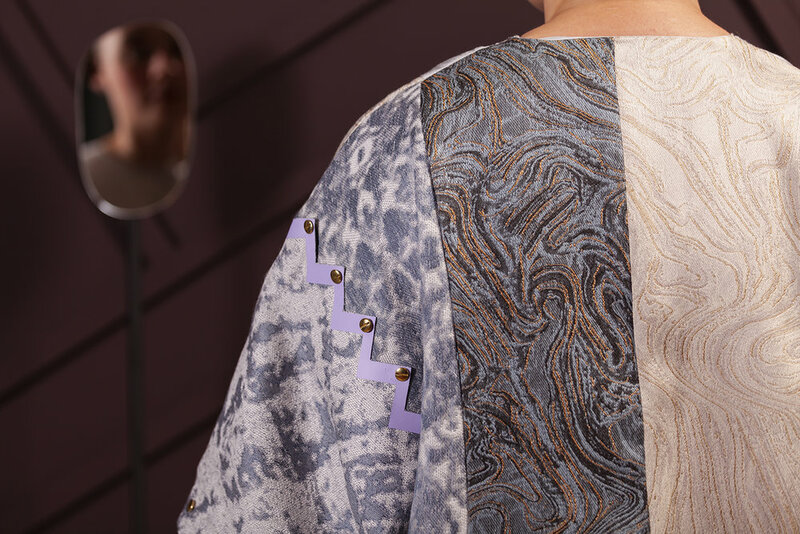 Their motivation to engage in this Fellowship collaboration is to explore how interior and fashion can fuse in a combined creative expression. 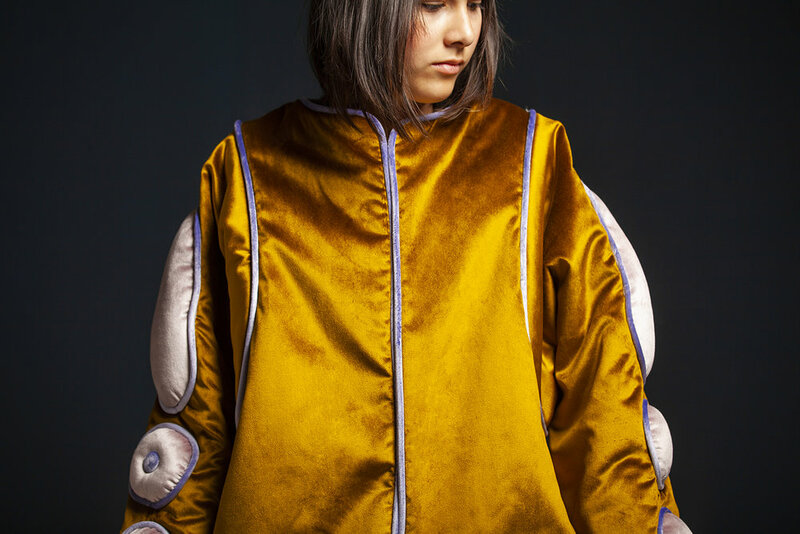 AnoukxVera is a fashion design duo focussed on on-demand sportswear and visual storytelling. 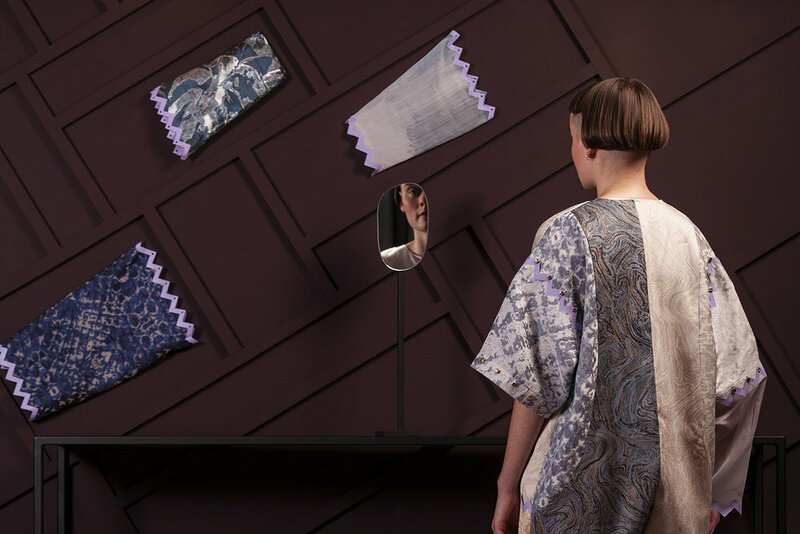 Anouk van de Sande and Vera de Pont did research a crossover between interior design and fashion items. 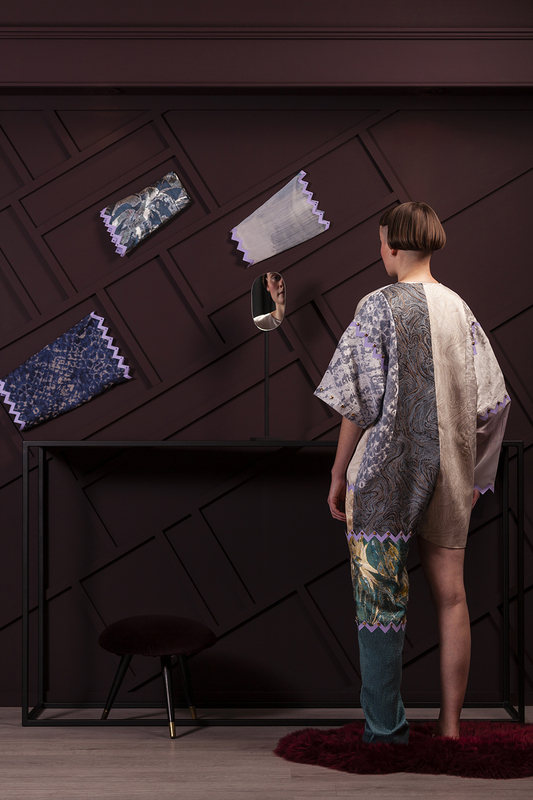 Feeling inspired by the many expressive and layered KOBE fabrics, AnoukxVera transported the fabrics from the walls and chairs closer to the human body to become tiny surrealistic homes without a roof. This fusion of living and wearing is explored in three suits. The suits emphasise an exploration of the senses, as seen for example in the multicoloured pallet suit and the sofa suit, and touch upon modular or flexible garment concepts. Use your garment like a curtain or become a sofa. Inhabited by a small human, this tiny transportable house represents a fusion of living and wearing. Shrunken down to body-sized elements, it’s parts drape for bad weather or swallow you like a sofa. It can suddenly change, expand or shrink. Travel, float and drape.